The Disney Den: Coolest Pillow Pet Ever? I Think So. 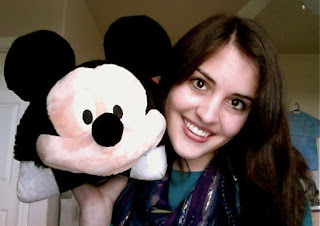 On my last trip to Disneyland in February, I fell in love when I discovered there was a Mickey Mouse pillow pet. I immediately picked it up and carried it around the store while my friend was trying to find a shirt to buy as a souvenir. Unfortunately, I decided to put it back on the shelf because it was out of my price range. I bid what I thought would be goodbye to my beloved new pillow pet. But, alas, it was not goodbye! My adorable Mickey pillow pet! A few months before this trip, I actually had bought one of my best friends a Winnie the Pooh pillow pet for Christmas. I was curious to known just how many pillow pets Disney has, and to my surprise, there's quite a few! Mickey, Pluto, Tigger, and Dumbo pillow pets in a Disney shop! I also checked the Pillow Pet website and saw they had even more options, such as Simba, characters from the "Cars" films, and Kermit the Frog! Personally, I'd get the Simba pillow pet if I had to choose another one. Which one would you like to have? 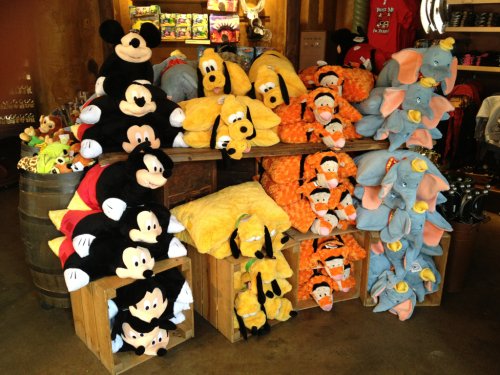 Add that to the bucket list - get one of every Disney pillow pet. Thanks, Sara! I totally agree with you that having a Simba pillow pet would be amazing.